A 13-year-old schoolgirl has been arrested on suspicion of dealing drugs to fellow pupils after a number of them needed hospital treatment. Police were called to St Mark's West Essex Catholic School in Harlow on Thursday following reports that eight girls had taken a Class B drug. The teenager was arrested on suspicion of having drugs with intent to supply and released under investigation. All affected pupils had been discharged from hospital, the school confirmed. In a statement, it said: "On Thursday 28 February, a pupil brought a substance into school. Subsequently, a small number of pupils felt unwell and notified school staff. "They were taken to hospital as a precaution. All were discharged the same day without need for further medical attention. "This unprecedented incident was dealt with quickly and efficiently, in accordance with health and safety procedures. The safety of pupils was paramount at all times." 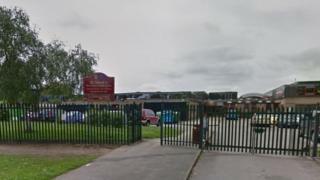 The school confirmed that the parents of the pupils involved had been "fully supportive" of the way the matter was handled. It also said a full investigation into the incident will now take place.